Gillian Andrews has a background in maths and astronomy, and is currently finishing a masters in astrophysics at Valencia International University. She has always loved Science fiction, and is a great fan of Star Trek and Dr. Who - and she also enjoys the light-hearted books of Janet Evanovich. She says of the first book in the Ammonite Series: "Valhai is a very special book for me. It isn't the first book I have written, and it isn't the first book I have published, but it is special all the same. Valhai is the book I would have liked to have read when I was in my teens, and would have re-read from time to time. I love the repartee between Six and Diva, I love Cimma with her knife, I love Grace, struggling to maintain her spirit in a world which has erradicated such luxuries." She was thrilled to become a READERS FAVORITE AWARD WINNER 2011 with Valhai, and also to have been chosen as a PARSEC AWARDS FINALIST 2011 for the audiobook version of Valhai. She lives in Mallorca, Spain, with her husband and two children, and is currently working on the second book in the Ammonite Galaxy Series, Kwaide, which is due to be published in December 2011. The Sellites from the planet Valhai have arrived on the distant planet Coriolis to take their new batch of fourteen-year-old apprentices back to Valhai. Among these teenagers are Diva, a daughter of a ruling Coriolan elder, and Six, a nameless, homeless teen from nearby planet Kwaide. Diva and Six team up with Grace, a Sellite who has not been modified and with Vion, a young Sellite doctor who will not buy into how Sellites have been using, and then killing off, young Coriolian apprentices. They work with Arcan, the true ruler of Valhai, to combat the Sellites. But can four teenagers and an inhuman force win? Valhai is adolescent science fiction at its very best. Major and minor characters are well-drawn and act believably throughout the story, which is Book One in the Ammonite Galaxy series. Even the "bad guys" in this engrossing tale are believable and serve to draw the reader into the tale and its exciting conclusion. The plot proceeds smoothly until story's end and will engross even those readers who don't normally read science fiction. The story itself is well-edited without typographical errors and misspellings. Typos and poor grammar would be disastrous for a story such as this where the reader will be spellbound as the storyline marches on to its conclusion. 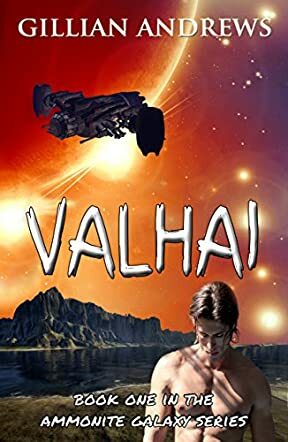 Valhai is an appealing, interesting work of science fiction. Teachers and librarians everywhere will welcome its presence on their bookshelves. They can put it in a student's hands, knowing it will be well-received by even the most reluctant of readers.